The incident happened at around 4.30pm on Sunday, December 17 near to the southbound carriageway of the M6. A car fire sparked an emergency call-out at Charnock Richard Services, say fire crews. 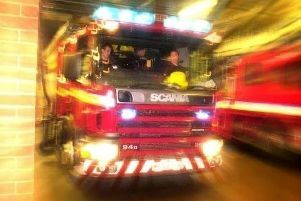 A member of the public reported the incident and crews from Leyland arrived at the car park to find the car "well alight". A spokesman for the fire service said: "We have requested CCTV from the services as part of our investigation. "We are not completely sure of the exact circumstances of how the car came to be at the services." Crews from Leyland used a hose reel to extinguish the fire. Nobody was injuured during the incident.